Established in 1992, PCCS have been at the forefront of service management software within the consumer electronic, domestic appliance and mobile phone industries. Our systems are in use by leading brands and manufacturers within those industries and at their authorised service and retail centres. We face an exciting future as we move into our third decade. PCCS is a software house that specialises in the creation of business critical service management and retail database applications. We have a head office in Brixworth, England and regional offices in Johannesburg, South Africa and Hyderabad, India. First established in 1992, our clients are consumer electronic & domestic appliance manufacturers, warranty providers, mobile phone networks, major retailers and service centres. 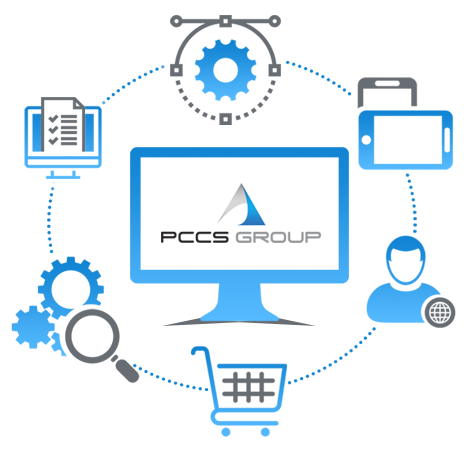 The majority of our software has been speculatively created and deployed, however, a significant number of applications have been designed and built to meet clients specific requirements. Our professional team of programmers primarily develop in PHP and ASP although over the years they have developed applications in many different languages. Some of our systems have been in operation for more than 10 years, however, they are constantly being enhanced and improved to ensure they meet the requirements of a demanding customer base. We are currently developing Skyline. This is a new application that will eventually envelop most of our existing systems. Skyline is being developed as a joint venture driven by the defined requirements of our primary clients and our in house development team. PC Control Systems release ServiceBase. Philips deploy ServiceBase in their central repair centre. Samsung deploy ServiceBase in their Telford head office. Samsung sponsor a new cellular repair system. Intec deploy ServiceBase Cellular for Samsung & Vodafone repairs. CRC commission a warranty validation system for Nokia. Sanyo deploy ServiceBase in Dublin central repair centre. SellFone released into cellular retail market. Vodacom deploy in Johannesburg & 79 sites across South Africa. SellFone Integrated into Distribution system..
Shebang roll out SellFone into 150 retail stores. SellFone interfaced with 3, Vodafone & O2. RMA Tracker released and deployed by sony. Tesco deploy SellFone in 150 stores. Samsung Deploy RMA Tracker. Noise UK deploy RMA Tracker with new web front end. Skyline released & deployed by Noise for Argos, Dixons Car phone etc. Skyline deployed by Telegistics in New Zealand. Domestic & General deploy Skyline. PCCS are completely focused on working with our partners to deliver quality systems. We work hard to understand their particular business and how we can best benefit their requirements. The management team consistently ensure that all departments and their staff stay in touch with the latest technology & innovations and incorporate any new developments into our software applications. We attend trade shows and conferences as well as actively reading the industry press and participating in software community discussions and forums. We are an equal opportunity employer that recognises the contribution that all employees can bring to the business. We strive to be an understanding employer that will support our team members if they have professional or personal issues. We support and encourage our staff to personally develop their skills and to research and develop any new and innovative features that will enhance or benefit our systems. We are a Green employer and believe in a sustainable environment. We conserve energy and limit travel where possible. We comply with the WEEE directive on waste management and recycle waste hardware and peripherals. We try to ensure redundant equipment is reused rather than recycled. We encourage our staff to do the same both in and out of work. We also encourage our staff to be socially aware and we support them in their charitable events. We collectively participate in events such as Race For Life and Children In Need. We also support charities such as Great Ormond Street Hospital and the Alzheimer's Society. The company rigorously supports and complies with health & safety legislation. We believe our staff deserve a safe and secure working environment.